This is a relatively new popular Cajun dish. 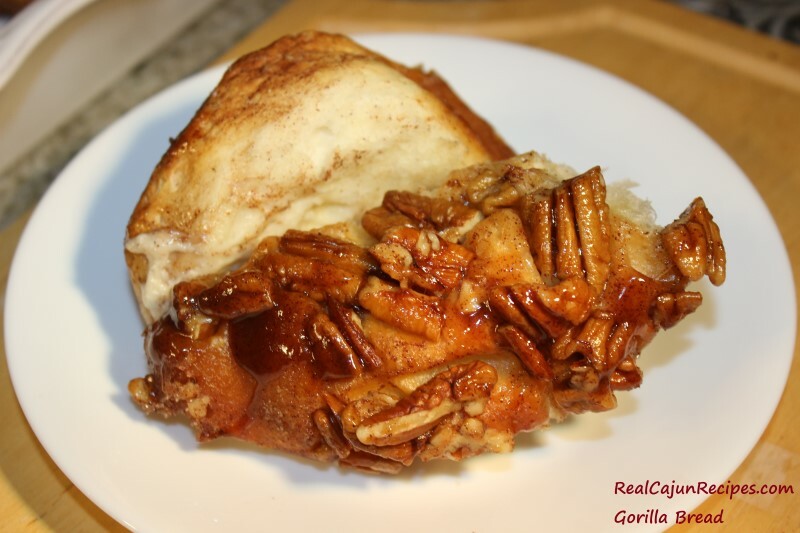 It closely relates to Monkey Bread (recipe on site), a popular dessert bread. In a saucepan, melt the butter and brown sugar over low heat, stirring well. Set aside. Sprinkle one of the 1/2 cup of the nuts into the bottom of the bundt pan. Place half of the prepared biscuits in the pan. Sprinkle with cinnamon sugar, pour half of the melted butter mixture over the biscuits, and sprinkle on another 1/2 cup of nuts.